WCNTV Commentary: Today’s Transmedia Woman is Karyn Parson Founder and President of Sweet Blackberry. There hasn’t been a week that I have been a FB Friend that I have not learned something new about Black History. With United Nations Resolution 64/169 celebrating THE INTERNATIONAL YEAR FOR PEOPLE OF AFRICAN DESCENT we lift up the work fo the SWEET BLACKBERRY.ORG for keeping our history Alive. When considering which organizations to donate to this year. Don’t forget how all year long this organization is feeding potentially 800 Million Facebook Users who need only know Sweet Blackberry Exists and the incredible service they are performing for Kids. Thanks Karyn We love you work. Karyn Parsons (Founder and President) is best known as the character “Hilary Banks” on the long-running television show, “The Fresh Prince of Bel Air.” Karyn created the Sweet Blackberry foundation after being inspired by the true tale of a determined slave and the remarkable lengths he travelled to find his freedom. While growing up, Karyn’s mother, a librarian in the Black Resource Center of a library in South Central Los Angeles, would share stories of African-American accomplishment with her daughter. A mother and activist, Karyn created Sweet Blackberry to use the power of stories to inspire youth. About Mission Statement: Our mission at Sweet Blackberry is to bring little known stories of African American achievement to children everywhere. Unfortunately, our schools often lack the time and resources to teach our children more than a handful of stories of African Americans in history. Narrated by Emmy award-winning actress, Alfre Woodard, “The Journey of Henry ‘Box’ Brown” brings to life for young children an extremely important chapter in American History, telling an extraordinary tale of human courage about a man who shipped himself, in a box, from Virginia to Philadelphia to freedom. Sweet Blackberry’s second film, “Garrett’s Gift,” was narrated by award-winning actress, Queen Latifah. It tells the story of young Garrett Morgan, a creative-minded child who was finally able to focus his talents and energies and become one of the country’s most highly regarded inventors. Sweet Blackberry’s films, “The Journey of Henry ‘Box’ Brown,” and “Garett’s Gift,” have both enjoyed a long run on HBO and HBO Family, and have both garnered several awards, including the Parent’s Choice Award. Pulling from a deep tradition of storytelling through both words and music, Sweet Blackberry brings a wealth of talent to the screen. Sweet Blackberry’s stories are narrated by actors from film and television, and the narration is complemented by vibrant, eclectic music. Sweet Blackberry’s plans are to create content that works across multiple media platforms, leveraging the power of stories to teach and reach young children wherever they may be. Sweet Blackberry was founded by actor/writer, Karyn Parsons (The Fresh Prince of Bel Air). As a new mom, Parsons was motivated by a strong desire to instill a sense of culture and heritage to her daughter. Inspired by her own mother and upbringing, Parsons created Sweet Blackberry—delivering to all children, stories that need to be told and heard. This culture is American culture; this history is American History. World Colours Transmedia Group in association with The Africa Heritage Society presents incredible stories never told. In accordance with United Nations Resolution 64/169 which celebrates 2011 as THE INTERNATIONAL YEAR FOR PEOPLE OF AFRICAN DESCENT we congratulate Airline Captain Michele Jones, First Officer Stephanie Grant, Flight Attendants Diana Gallaway and Robin Rogers, modern day Living Legends. We are WCN are particularly excited about this story which lifts up Women and is a prime example of what hard work determination and a Media willing to highlight Role Models in STEM Instruction. Ladies we deem it an honor to tell your story of the Wild Blue Yonder, Up Up & Away. May this post reach a girl struggling with direction. It takes a lot to entrust that equipment to any crew. Given our history isn’t it time we succeed again and again and leave a legacy of this kind of success for our sons and daughters. TUSKEGEE AIRMEN WE SALUTE YOU!! Delta Airlines a modern Day Red Tails Airline because of the example of our honored Aviators. As a Delta Customer for more than 20 years it is indeed a great fact to know as people of African Descent and their buying power become more sophisticated about that 1.1 Trillion in buying power predicted for 2015 for people of African Descent. Now for some fun. Can anyone tell me what Aircraft this is and if you think Delta should create a RED TAILS Retro Fleet to Honor The Tuskegee Airmen COMMENT, CLICK LIKE AND SHARE WITH OTHERS. Lets Take this story viral. And please support RED TAILS COMING TO THEATERS JANUARY 20th, in The United States. And stay tuned to WCN Transmedia Group Publications. We are organizing Transmedia Revenue Share Communities to support Profits and Non Profits. Main Street and Wall Street, the 1% and the 99%. Yes 100% Prosperity is more than possible its Heritage Time. The Africa Heritiage Society USA Salute North Paran.com for Outstanding Contribution to the Literacy of Children. The Africa Heritage Society USA and World Colours Network Television Salutes the Founders Nick Childs and Deneen Milner of North Paran for their work in getting books into the hands of our children. As we begin heading into the holiday season and you are wondering how to extend the gift of knowledge, please unlock the gift of knowledge. Reading is fundamental to writing and writing expression and expression FREEDOM. 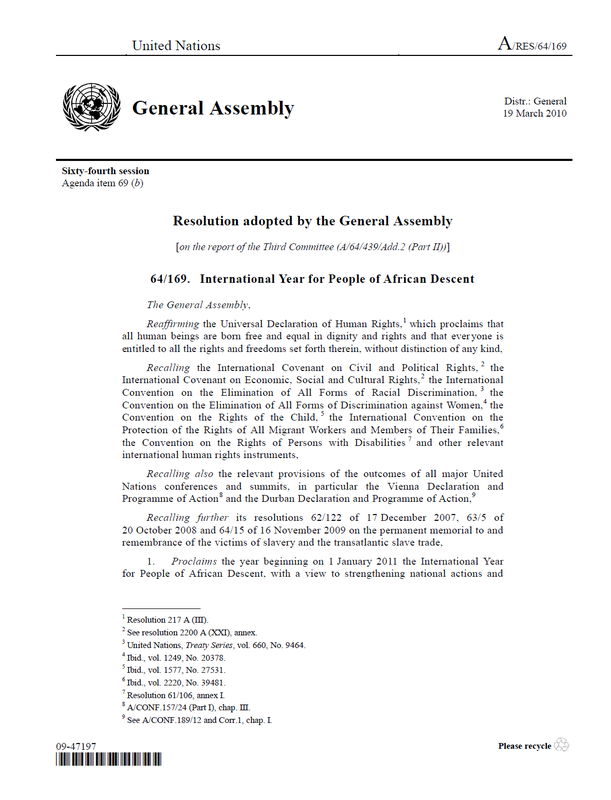 We celebrate United Nations Resolution 64/169 proclaiming 2011 THE INTERNATIONAL YEAR FOR PEOPLE OF AFRICAN DESCENT. And hold up North Paran as Light in the Candlestick that is THE CIVIL RIGHTS TO PLATINUM RIGHTS JOBS MOVEMENT. North Paran is the most comprehensive site on the web for books by and about black people. The site was formed with an eye toward philanthropy: North Paran donates a new book to a child in need for every book sold on the site. To make the donations, North Paran partners with non-profit organizations in the United States and abroad to find children who do not have access to new books. Read About Our Last Giveaway. At North Paran, our goal is to get a book in the hands of every child in our community who doesn’t have one. To accomplish this, we have come up with a simple formula: For each book we sell, we will give a new children’s book to a child in an impoverished community. In essence, we are asking you to join us in our mission. You can use your purchasing power to make a difference. Buy One…Give One. When a book is purchased on our site, a number gets added to the donation tally, which we will publish at the end of each month in our blog and newsletter. At the end of every month, the North Paran staff checks the donation tally to see how many books will be donated for that month. The staff then selects appropriate organizations or communities of children to receive a delivery of new books that have been chosen by the North Paran staff. Once received, the donation is confirmed by a letter or statement from the communities or organizations that have received the books. Can African-American Purchase Power Change the World?…..
A Campaign and Video from NorthParan.com Can you tell why I am already a fan. In July 2011, International Goodwill Ambassador Announced The Civil Rights to Platinum Rights Movement in response to United Nations Resolution 64/169 proclaiming 2011 The International Year for People of African Descent. Neilson has just released its report The State of the African American Consumer. Prepare to join The Africa Heritage Society and forward this to everyone person of African Descent you know. Please support our Petition that will be sent to President Obama, The World Bank, IMF and The United Nations to support THE CIVIL RIGHTS TO PLATINUM RIGHTS MOVEMENT and the creation of Jobs in America by building Africa. It’s Heritage Time. 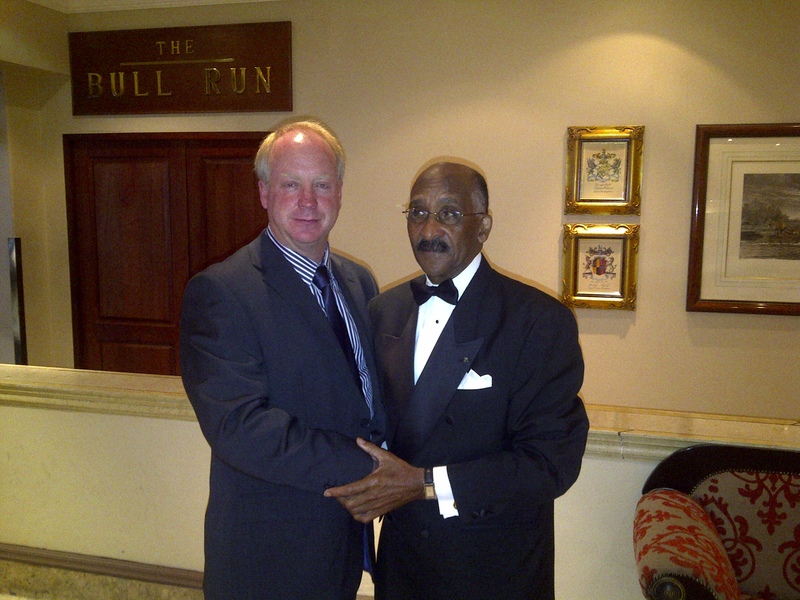 Thank You Jay O’Conner Media Spokesperson for The Africa Heritage Society. As businesses look for opportunities to grow their companies and gain market share it is critical that they understand new and emerging demands from consumers, especially within growing segments, wherever they do business. As the population of the United States evolves to become more ethnically diverse, the complexity of such an effort has grown. To help close the gap and give insight as to how to address the needs of the growing diverse base, Nielsen—along with the National Newspaper Publishers Association (NNPA)— developed this report to better illustrate the qualities of the African-American community, the business opportunities that exist, and the best methods for a productive connection between businesses and this community. The African-American population is, today, the largest racial minority group in America, with a population of close to 43 million. This market segment’s growth rate continues to exceed the overall population’s growth and is making continued gains in the area of education and income. The collective buying power of the African-American population is projected to be at $1.1 trillion by 2015. Collectively the group over-indexes in several key categories (television viewing, mobile phone usage and trips to grocery channels) and exerts a large influence on popular culture and trends, indicative of the high growth industries of the future. The three areas of focus for this report include a review of demographic characteristics, a survey of the programs and mediums favored by the group, and a look at overall consumer packaged goods buying behavior. 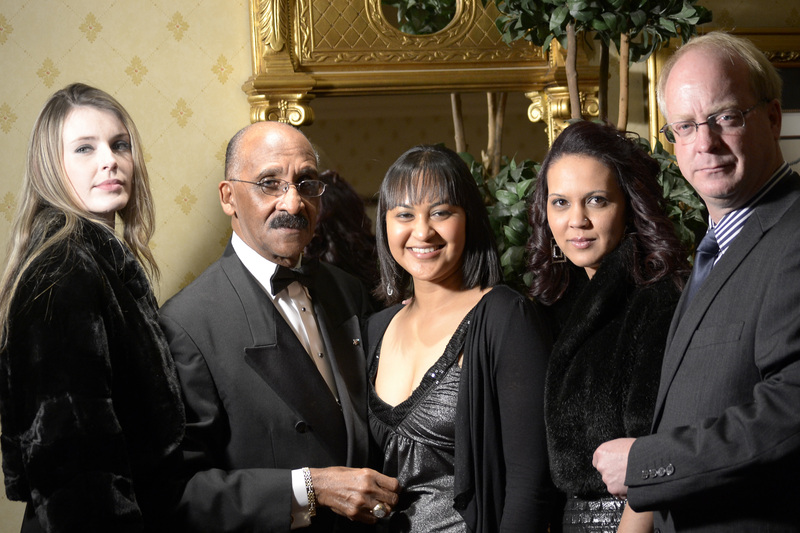 Meet The International Resort Holdings Team and The Architect of The Civil Rights to Platinum Rights Movement. 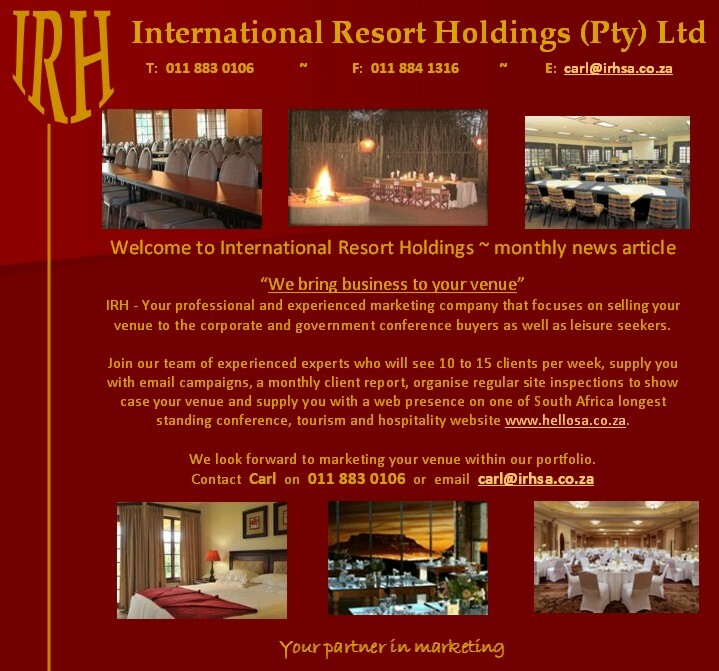 WCN Transmedia Group is happy to introduce to some and re-acquaint others with IRH a company with more than 10 years of serving the Entertainment, Hospitality and Tourism Business from South Africa. This team of dedicated professionals are creating incredible opportunities for jobs is both Africa and America. If you are not part of the IRH Consortium you would do well to stay posted on the projects that both IRH and WCN are undertaking for the future of all people, especially those of African Descent. There is change in the air. With massive unemployment and being on the brink of a Global Recession, there is a voice crying from South Africa to America and back again. 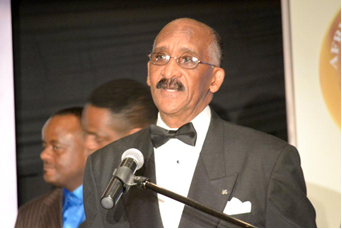 I am pleased to introduce the Architect of the CIVIL RIGHTS TO PLATINUM RIGHTS MOVEMENT who is also Chairman of International Resorts Holdings (Pty) Ltd. It is indeed a pleasure to showcase businesses that will join the movement. But first lets examine the birth and the Masterminds behind creating infrastructure development for developing countries and technical jobs in Africa. IRH is lead by International Goodwill Ambassador Oscar J. Webb and Mr. Carl Nell Director, who are the catalysts for the emerging African Markets. Largely in the Entertainment, Hospitality & Tourism Industry IRH’s tentacles are far and deep rooted in a mission from the Big Guy as Amb Webb refers to God. Some talk the talk and others walk the walk, this blogger has been given exclusive access to the Executive Staff and you could not field a better more professional group of TEAM PLAYERS. Africa is open for your business conferences and offers incredible amenities and facilities for large or small events. IRH handles the logistics and reservations for the Continent of Africa. 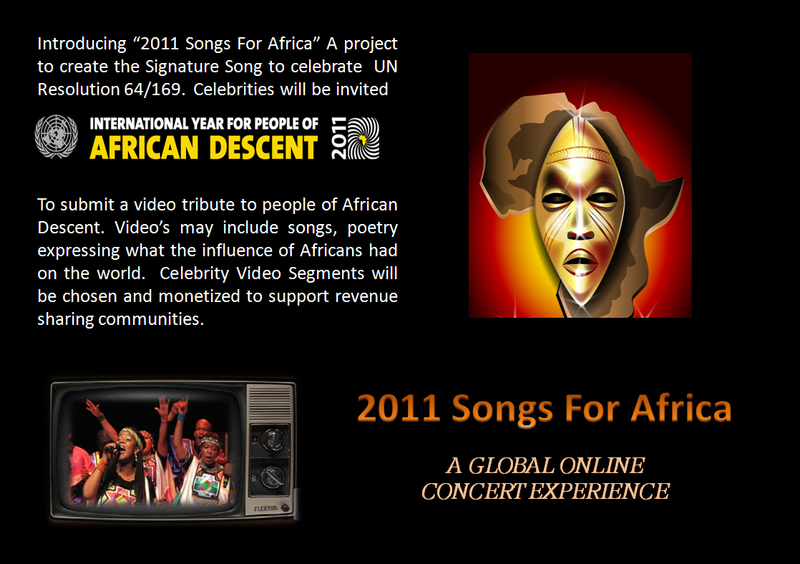 IRH is integral in the planning of 2011 Songs for Africa to celebrate United Nations Resolution 64/169 proclaiming 2011 as The International Year for People of African Descent. The Inaugural Concert will be held at FNB Stadium in Johannesburg South Africa. 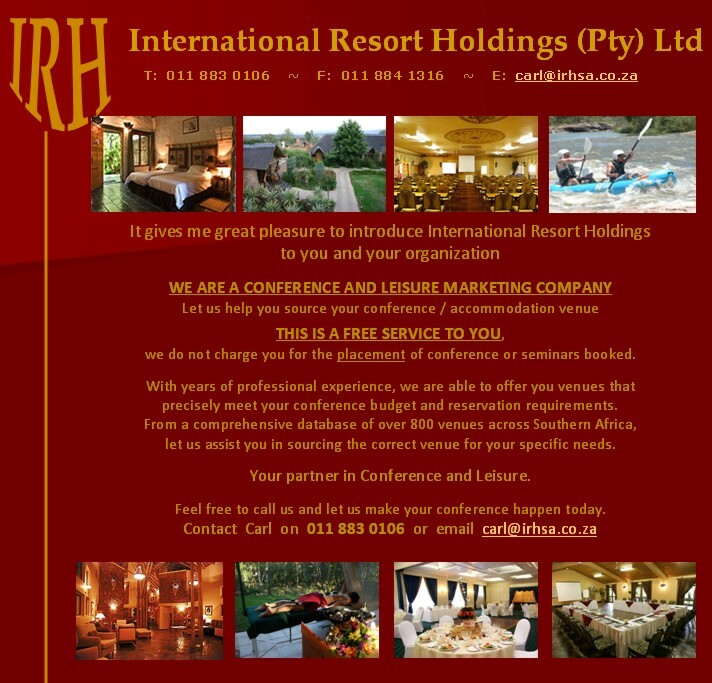 Who and What is International Resort Holdings? This unique and fully comprehensive company focuses on the entertainment and hospitality industry in Southern Africa. International Resort Holdings promotes itself to an identifiable target market through a comprehensive and ongoing marketing program. We are a fast paced, dynamic hotel and resort marketing company with a core team of individuals who are passionate about hospitality and top class service delivery from every property marketed on our portfolio. The SAARF LSM has become the most widely used marketing research tool. It divides the population into 10 LSM groups, 10 being the highest and one being the lowest. Our portfolio represents the 6 – 10 LSM market. Our mission is to encompass the most identifiable, leading destinations across the globe. International Resort Holdings hotels and resorts are not only sought after destinations, but each property provides a unique experience to the discerning International and local business and leisure traveller. Although marketing is our core focus, another important service that we offer to our clients, is booking conferences and events on their behalf. We have experienced staff members who have been in the industry for as long as 6 years who are able to place you at a venue that suits all your requirements. We have over 900 venues on our database and are able to place you at a venue anywhere in South Africa. We set up site inspections and accompany you should you wish us to do so. We offer on site management should you require someone to be available throughout your function. We are able to assist you with sound and lighting, entertainers, guest speakers, teambuilding and even transportation. We offer you a 12 – 24 hour turnaround time period to process your quotations. Should we receive your enquiry in the morning, you will receive our quotes before close of business that very same day. We are also able to offer you the service of centralised billing. This service allows you to pay our company where we are then able to pay the funds over to the venue of your choice, on your behalf. This service is offered in the event that you would like to utilise a venue that is not on your database. Most importantly WE ARE A FREE SERVICE TO YOU. We are remunerated by the venue that you confirm as they regard it as a marketing fee for business that they would not have had. International Resort Holdings continuously exceeds the expectations of our Guests and Shareholders by striving to higher levels of excellence in the properties that we represent. Proactively support and grow the opportunities of our Southern African and United States communities in which we operate. Aggressively grow the portfolio, achieving global brand loyalty and sustainability. Thank you for the opportunity to introduce our Website to you and the wonderful business opportunity that the site has to offer. “Internet Hello South Africa” offer advertisers a cost effective and powerful marketing tool to promote their business to an identifiable target market. 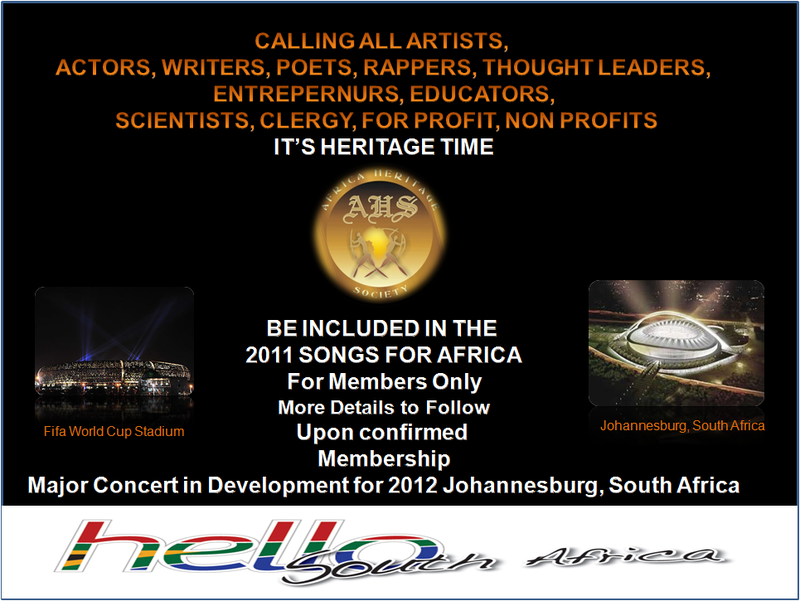 The following proposal is to provide a greater awareness and promotion for your venue on www.hellosa.co.za. This unique and fully comprehensive Website focuses on the Entertainment and Hospitality Industry in Southern Africa. Internet Hello South Africa promotes itself to an identifiable target market through a comprehensive and ongoing marketing program. The Black Economic Empowerment (BEE) Commission defined BEE as a strategy aimed at substantially increasing black participation at all levels in the economy. It also aims to ensure broader and meaningful participation in the economy by the black community. By constantly advertising, upgrading, maintaining and adding to our Website, we are attracting both the international and the local market so that you, the advertiser and viewer, can benefit from this awareness. Together with our industry partners, “Internet Hello South Africa” has cemented its place as Southern Africa’s premier hospitality Website. Presently we are receiving 15 000 hits per day (450 000 per month). International hit ranges from 30 % to 40 %. “Internet Hello South Africa” offers a unique facility promoting all “SPECIALS” offered by Venues under the Specials Icon in the “Leading Venues” Section of www.hellosa.co.za. This is a free service, so we encourage all our Venues to make use of this facility, as this will create a greater awareness. This enables the viewer to read your “NEWS, VIEWS and OPINIONS” about your Venue and what is happening at your Venue. Use this facility to promote your Venue and look at this facility as creating a greater awareness, which will once again be linked to your advert. This is a free service that can be offered on a regular (e.g. monthly) basis to you the advertiser. Internet Hello South Africa created a USSD (*120*hellosa#) program that has the ability to provide information that is displayed on www.hellosa.co.za through cell phones. By dialing *120*hellosa# (*120*4355672#) the caller will be able to source the following information by reading on his/her cell phone screen. This USSD application is said to be 7 times faster than an SMS and all three networks Cell C, Vodacom and MTN will have access to this information. USSD provides a medium that allows mobile operators opportunities to drive wireless traffic through interactivity. Practical services such as flight arrival and departure times can be extended to the vast majority of all customers of a GSM network operator today. Unstructured Supplementary Services Data (USSD) is a means of transmitting information or instructions over a GSM network. USSD has some similarities with SMS since both use the GSM network’s signaling path. Unlike SMS, USSD is not a store and forward service and is session-oriented such that when a user accesses a USSD service, a session is established and the radio connection stays open until the user, application, or time out releases it. This has more in common with Data than SMS. USSD text messages can be up to 125 characters in length. *120*hellosa# is the only tourism and hospitality USSD in the country. This gives huge advertising potential through leading edge technology. There are no subscriptions, no contracts and no SMS’s required. Said to be 7 times faster than an SMS. The mere fact that anyone with a cell phone can have access to this medium/system breaks down all barriers to information currently determined by income distribution and or services offered in a specific area i.e. : users don’t need to incur the expense of DSTV or TV licenses, newspapers, magazines etc – the system is affordable to the mass public. The USSD is updated continuously. There are no delays. Proposed advertising rate on “Internet Hello South Africa” is a once off payment for 12 months. Can be paid with a monthly Debit Order. This week I am interviewing International Goodwill Ambassador Oscar J. Webb who has recently returned from The Africa Heritage Society Headquarters in Johannesburg. He has brought back a message to President Obama and a plan to create jobs in America and in Africa. International Goodwill Ambassador Oscar J. Webb announced in partnership with Founders Mutumwa Mawere and Executive Director Phineas Tichana, of The Africa Heritage Society on Nelson Mandela‘s Birthday; The CIVIL RIGHTS TO PLATINUM RIGHTS MOVEMENT and 2011 SONGS FOR AFRICA, a Global Concert Tour. 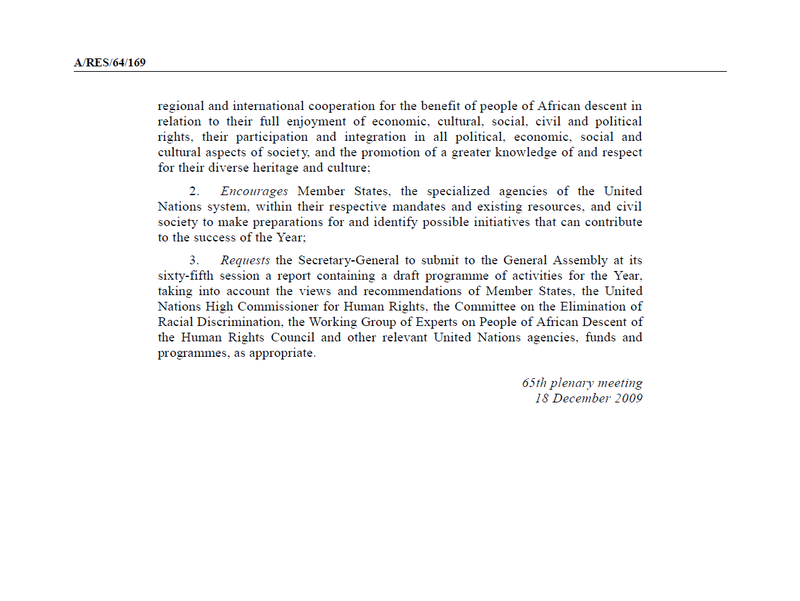 We have also launched the following initiatives that we seek the support of all people of African Descent including President Barack Obama, UN Ambassador Susan Rice, International Trade Representative Ron Kirk as well as the heads of the Fortune 500 starting with Warren Buffett, Bill Gates, Steve Jobs, Mark Zuckerberg, Eric Schmidt and all those who are stake holders in the success of turning around the Global Economy. Since the adopt of UN Resolution 64/169 we have started the following initiatives and invite your participation. This International Public Policy Statement by The United Nations Resolution is crystal clear and now It’s Heritage Time. Here is a brief list of our initiatives. The Black College Fusion Television Network to link colleges and universities around the world to further the study of Economic Development and Transmedia Revenue Share Communities. Infrastructure Development to create jobs in Every Sector. See AHS Development Chart below. IRH Consortium of African and African-American Businesses covering every Business Sector. The Africa Heritage Society’s Former Heads of State Initiative. AHS has partnered with WCN and its Charmian & CEO Jay O’Conner World Colours Network televisionn is Co-launching the first 24 hour Interactive Product Placement Television Network which allows viewers to instantly purchase anything seen on-screen with a Transmedia Brandcasting Revenue Share opportunity which will please both Main Street and Wall Street. AHS & WCN has partnered with Africa Job Station to create The AHS Job Station Portal USA. We have also partnered with Africa Job Station which has over 7000 Jobs that will be highlighted on WCN’s Transmedia Blog each week. We invite the Fortune 1000 and individuals to seek and find opportunities for employment and entrepreneurial pursuits. It’s Heritage Time!!! For long-term sustained growth a jobs strategy is good for Africa but equally as good for People of African Descent who have received their education and can now make a strong contribution to their Motherland. Poor Africa is the Richest Place on Earth and the Heritage of Africans born in America. And now that we have been educated to the facts. It’s Heritage Time. Just a brief note about what an honor it is to serve and to position the Nation for the greatest comeback story in History. Largely African-Americans have overcome many adversities and as people have shown their resilience. Remember that feeling we had when Barack and Michele took the reins at the White House built by Slaves. Now with the United Nations Resolution backing up our contributions isn’t it time for a Global Celebration. We must choose and now to stand behind the choice we made in electing President Obama and trust that his Cool and Steady hand at the wheel of this country is what we need. We Pray and support the long-term solutions that his administration is now putting in place that we won’t feel as a nation until after his second term as President. Those of us who are old enough to have lived through several Presidents understand that it takes more than two to four years for the impact of the Presidency to be felt. So even as the Presidents Opponents are bashing the hell of how things are now. We are living under the decisions made by previous Administrations. Remember the Democrats left a Surplus under President Clinton, that suddenly disappeared through the Bush Administrations Debt Ceiling raises. President Obama we need your support and the full power of the Presidency to under gird The Civil Rights to Platinum Rights Movement for All Americans. Young African-Americans are disconnected in large part from Africa, Slavery and past struggles. Jobs are critical yes but enlarging the wealthy class through Entrepreneurship and mentorship will increase the Middle and Wealthy Classes. Those with money the Super Rich will do their share but cannot just give away money. So systems, movements created by Dr. Martin Luther King Jr. serves as an example to help us restore basic rights but never before included Economic Rights. While there is little anyone can do about natural disasters, we can certainly avoid man-made ones. I lost my 100 dollar Sales job 15 years ago from a small minority owned firm in Augusta Georgia and largely because we could not get at the time work from the government or the private sector. The playing field has leveled with Social and Digital Media. And especially Transmedia Brandcasting which will revolutionize the advertising business, save as much as 50 Billion in Online Piracy of film, entertainment and software. We can make jobs for ourselves. With 1.1 Trillion in spending power and a Continent Rich with many of the resources traded daily around the world should surely be given the opportunity to be create strategic alliances to increase the walls between the Super Rich, The Rich, The Middle Class and the Poor. The mission statement for WCN is To Bridge the Gap Change Mindset and Transform Cultures through Love Acceptance and Global Diversity. Right now and never more than before as we unveil the Monument to Dr. Martin Luther King Jr. Lets Love One Another, Understand that Acceptance means a living wage so families can thrive and Global Diversity is the fabric of how to make it happen. Yes we are tired and the world seems like its ready to explode at any minute but Mr. President we have confidence in our Prayers for you and your family and are hoping that you have the fortitude to make bold decisions that will turn around the Global Economy. I know that you have a team of supporters and a team that no matter what you do its going to be wrong. I pray during this time of vacation that you get the rest and enjoy the time off. I really appreciate Ben Rhoades Your Deputy National Security Communications and Speechwriting answering my CNN Question About The Administrations position on UN Resolution 64/169. We present it as the greatest opportunity to create jobs and therefore bring our solutions for your consideration. This week we will follow-up last weeks video of Dambisa Moyo, author “Dead Aid: Why Aid is Not Working and How There is a Better Way For Africa.” (June 10, 2009). and as promised this weeks jobs in Africa sponsored by Africa Job Station. Dambisa a voice for change in Africa is 100% Correct there has never been a Continent that has been saved by Aid alone. Especially The Richest Continent in the World. It is HERITAGE TIME.